The return of Katherine Heigl. The introduction of many comic book heroes. And a pregnant virgin. 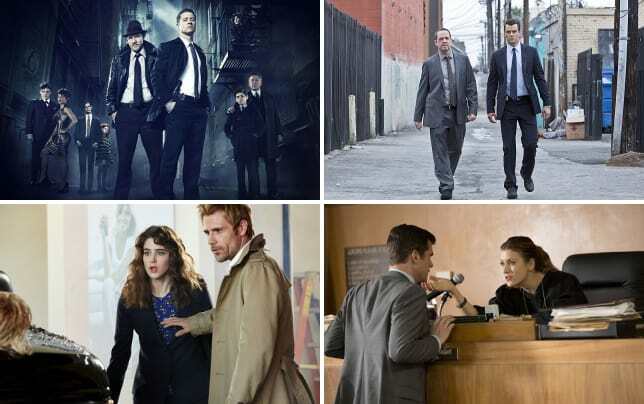 These were just some of the small screen developments teased this week by NBC, ABC, Fox, CBS and The CW, as all five major networks presented their 2014-2015 programming slate to fans and advertisers. Which programs look most promising? Which will you give a chance? At which are you already laughing? Sort through this list of 49 upcoming dramas and comedies and decide: Which deserve a spot on your DVR this fall/spring? Your first look at new ABC shows. Trailers for all new Fox shows. Trailers for all new NBC shows. Trailers for all new CBS shows. A rundown of all new CW shows.